While weddings these days have the ability to be more custom and unique than ever before, there are still timeless traditions that, knowingly or unknowingly, sneak their way into almost every wedding. This tradition comes from an Old English rhyme. The “old”, “new”, “borrowed”, and “blue” objects are meant to symbolize elements of good luck for the bride. “Something old” represents the bride’s past, “something new” symbolizes the couple’s happy future, “something borrowed” is meant to be from someone who is happily married in the hope that some of that person’s good fortune rubs off on the bride, and “something blue” to bring about fidelity and love. Incorporate this timeless phrase into your modern wedding by having fun with accessories. Your something old could be as timeless as a family heirloom broach, or as small as a pair of earrings from your childhood. Your fiancé could wear your something new – be it a watch or bracelet. Something borrowed can be an excuse to raid your friend’s closet, think chic, like small rings or even a pair of shoes. Tie your bouquet with a blue ribbon, or incorporate a blue streak into your hairstyle to give you your something blue. 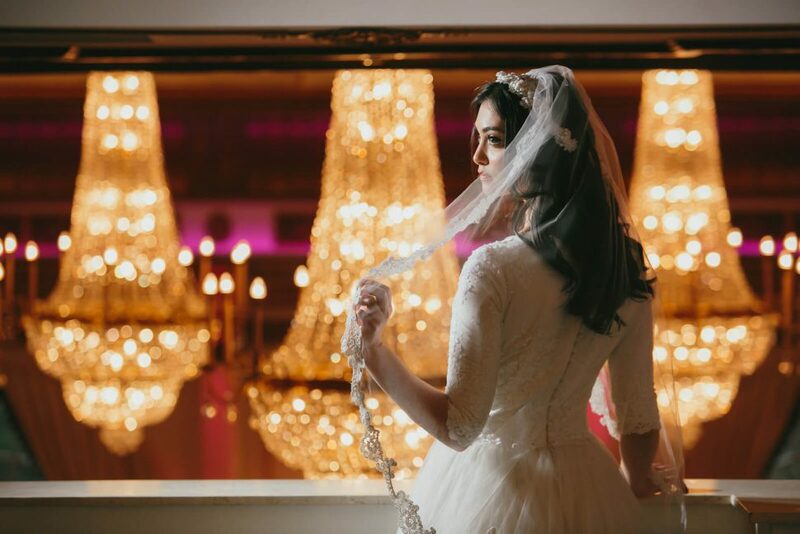 Wearing a veil can be traced back to ancient Rome – the bride would be wrapped from head to toe to represent the delivery of a “modest and untouched” woman. The veil would also be used to disguise herself from evil spirits who would want to ruin her happiness. These days, being a “modest and untouched” woman isn’t important, however, the timeless tradition of the veil remains. Modernize your veil by adding a chic headband, flower crown, or small princess crown to the lace. Or, instead, opt to use an elegant birdcage wedding veil. The earliest bridesmaid fashion involved every member of the bridal party dressing exactly like the bride. As it is with many old wedding traditions, this was done to create “lookalikes” so any evil spirit couldn’t find and harm the bride. Thankfully, this tradition was thwarted and what we are left with today are modern bridesmaids dresses. Bridesmaids’ dresses ties in with another wedding tradition, that you can only have two colors at your wedding. 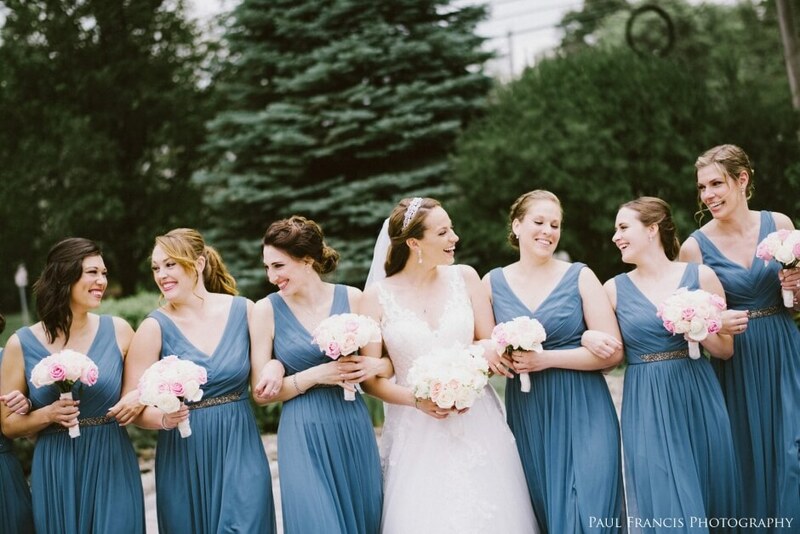 Typically the bridesmaids would all wear the same dress of the same color. Update this by having the bridesmaids pick out their own style of dress, but within the same color scheme. Having more than two colors in your wedding is doable too! Just make sure they all fall within the same color scheme (red, orange, yellow to deep blues, greens, and purples) and are paired with a strong, neutral color to make your color scheme pop without it being too overwhelming. Queen Victoria began this tradition at her wedding to Prince Albert in 1840 when she wanted to crown her wedding cake with a statue of herself. By the time this tradition came to the United States, the cake topper symbolized marital stability. 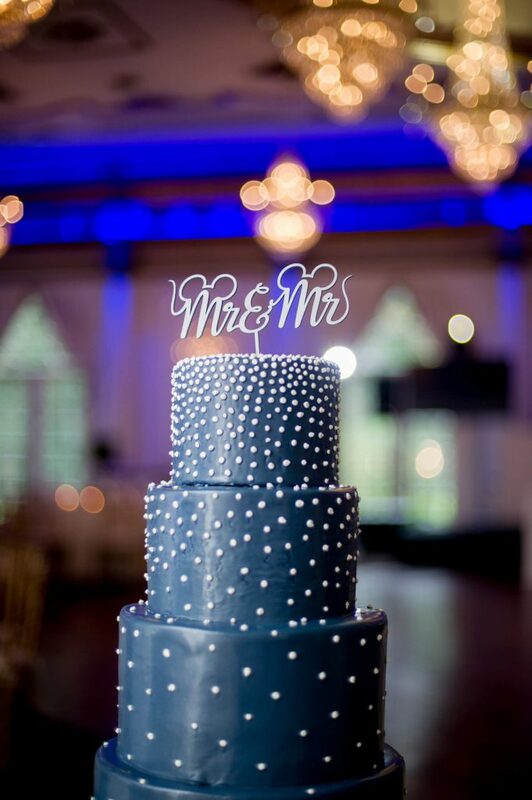 Today, cake toppers don’t necessarily have to be little statues of you and your fiancé. Personalize it and make it your own by having your topping be of a hobby you share, a movie you both like, a pet you have, anything that can symbolize something unique about your love. 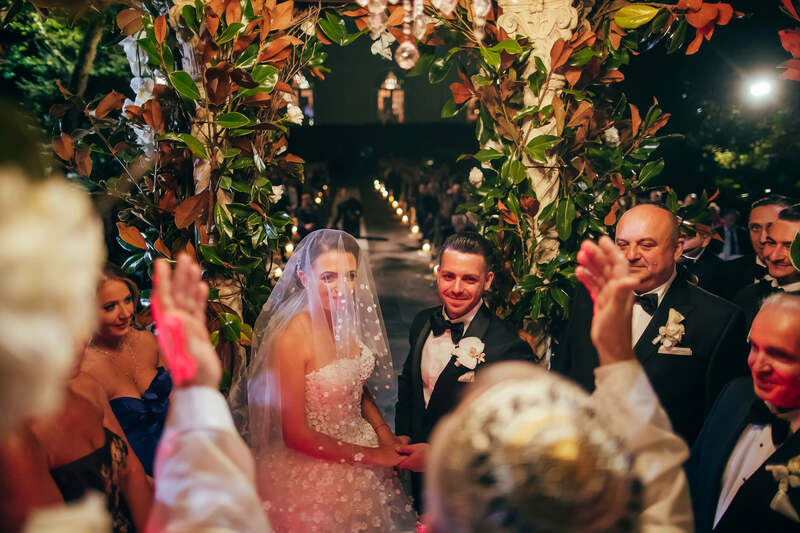 If you find yourself more of a traditional bride, there are still many elements to a wedding that can be modernized without losing the meaning behind it. Don’t be afraid to make it your own!